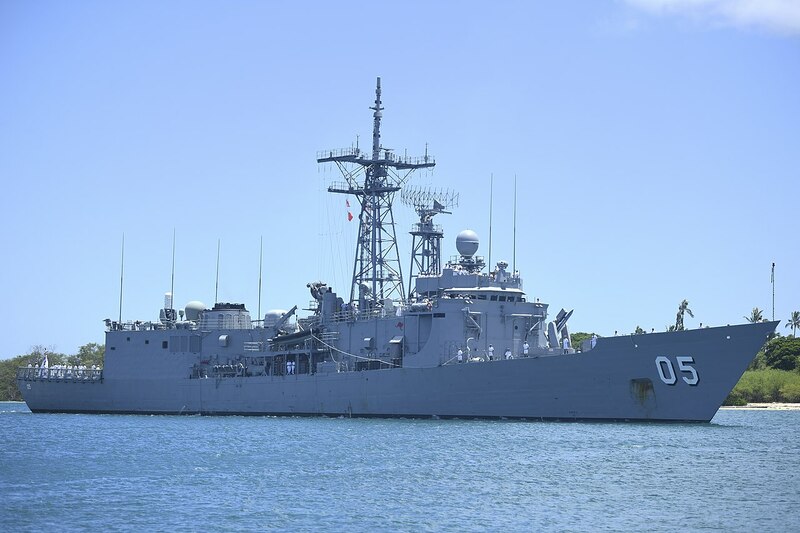 The Royal Australian Navy frigate HMAS Melbourne (FFG 05) arrives at Joint Base Pearl Harbor-Hickam in preparation for RIMPAC 2018. US Navy picture. The Chilean Navy is strongly interested in the Royal Australian Navy’s (RAN) Adelaide-class frigates. The information comes from the Defensa.com website. The frigates have been at the forefront lately, due to the interest shown by the Polish and Hellenic Navies, and allegedly other ones too. Greece had recently showed interest in acquiring the two or three frigates of the RAN, in order to fill-in the gap in area air-defence capabilities for its fleet. According to statements made by the Greek Minister of Defence, the two frigates would cost EUR 180 million, without their weapons. It seems that the cost of acquiring new Raytheon SM-2 missiles and other weapons for the ships is a factor of consideration for the Hellenic Navy, which has not announced any further steps. It is understood that the potential acquisition of the frigates is related to decisions in other programmes of the HN, such as the upgrade of the four MEKO 200HN frigates and the decision on the procurement and construction of a new class of ships. The latter would probably be inducted into service around 2022-2023. 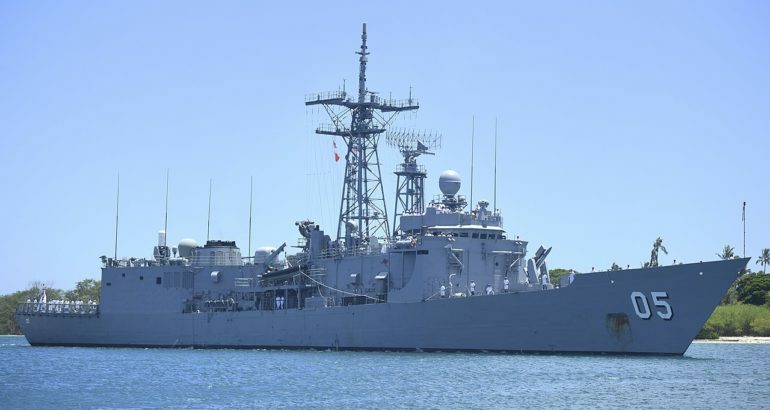 On the other hand the Chilean Navy, which seems strongly interested in the frigates, will sent a team of officers to Australia in the next one to two months, to inspect the units before the navy taking a final decision. HNLMS Van Speijk (F828) is the eighth and last ship in the Karel Doorman-class of multi-purpose frigates, used by the Royal Netherlands Navy. Royal Netherlands Navy picture. Chile has also shown interest in the Royal Dutch Navy “M” frigates but it now seems that the Australian ones offer a serious alternative to enhance the combat capabilities of the navy. In addition, the Chief of Dutch Navy Admiral Rob Kramer recently said via his Twitter account that “There is interest from Chile but we are at the very beginning of the negotiation process by the Defence Equipment Organization (DMO) with the Chileans”. 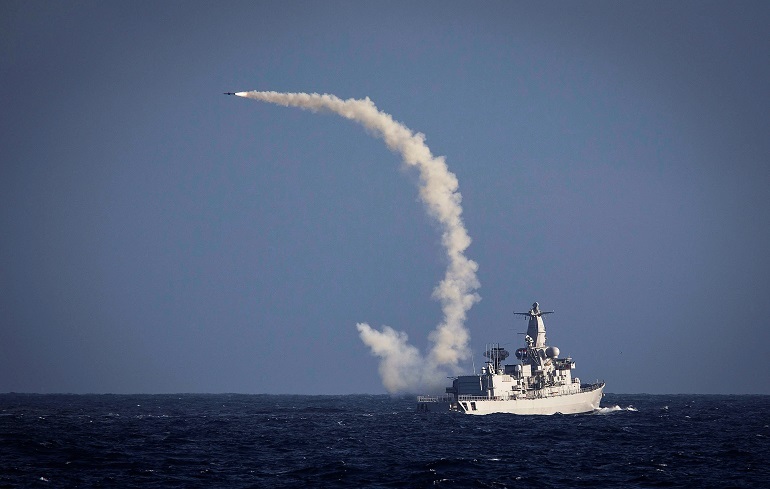 The Adelaide-class frigates offer the opportunity for the Chilean Navy to implement its plan of withdrawing its two ageing Lattore-class (ex “L”-type frigates of the Royal Dutch Navy), which use the SM-1MR Standard missiles.